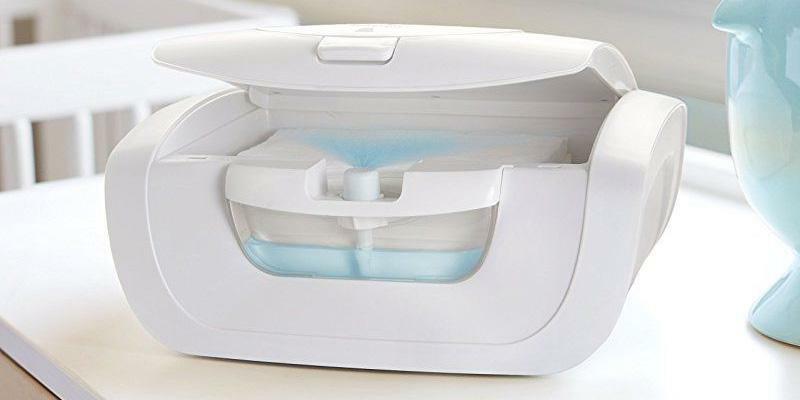 Unique auto misting system moistens wipes each time the lid is closed. Press the misting button to add more moisture as desired. Filling the water reservoir couldn't be any easier! 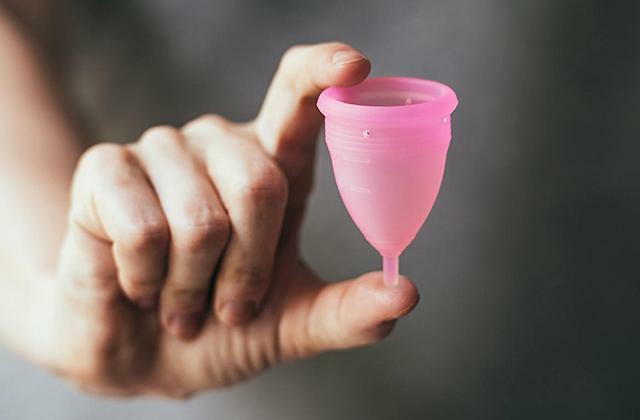 A larger lid is closed rather tight; opening it might take some effort. Munchkin Mist wipe warmer will complement any baby room decor. 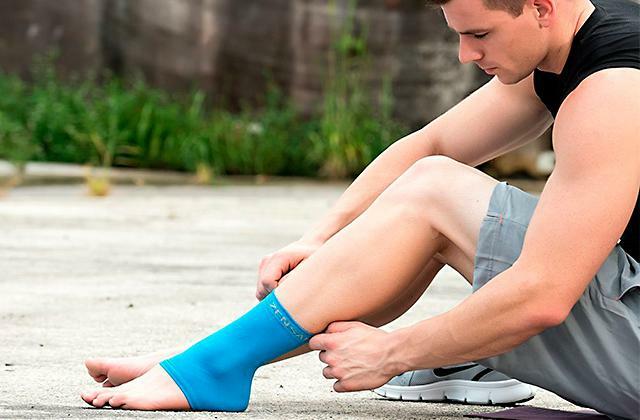 Forget about dried out and cold wipes! Make sure your baby has warm and moist wipes for every diaper change just as required. Status indicator lights turn green when the unit reaches its optimal temperature of 140ºF. The device is ready to provide warm wipes in about 3 hours. Top lid might be quite difficult to close when you leave a 1/2-inch gap at the top. Make diaper changing a pleasant experience for your baby! 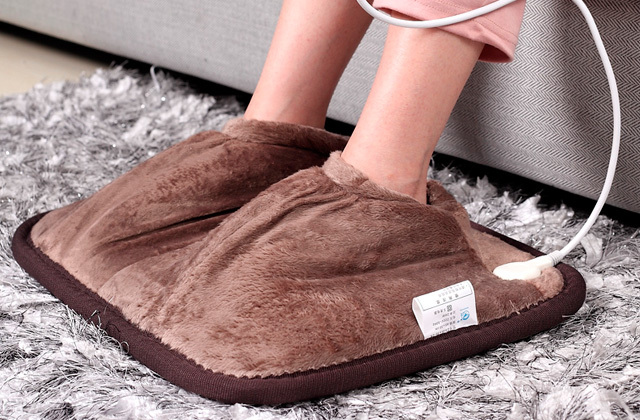 Steam-warming technology and absorbent cotton pad provided by Bundle Tumble warmer make it possible. This model brags everFRESH® System pillow that can keep your wipes moist and fresh for a long time. The EPA-approved antimicrobial additive prevents the growth of harmful germs and bacteria within the unit. The lid tends to loosen over time. 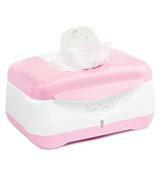 Prince Lionheart Ultimate wipes warmer is an excellent choice for any family! 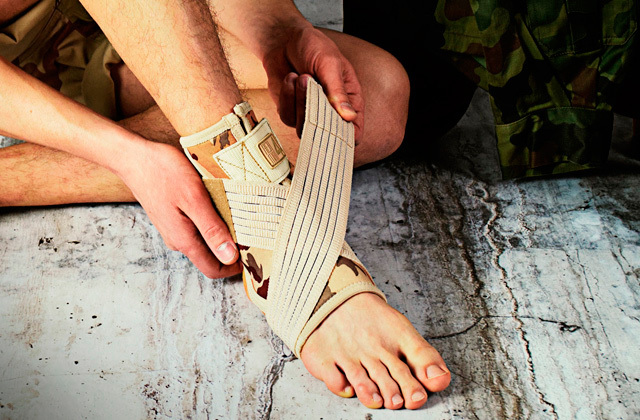 The device will be particularly useful for new parents who choose to use cloth wipes. Large Illuminated night button greatly facilitates diaper changing late at night. It provides enough brightness for parents to spot changing essentials in the dark yet, not that much to wake a little one up. No possibility to disconnect the power cord. 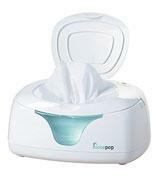 Hiccapop wipe warmer is a truly indispensable device for proper infant care. The viewing window will keep you informed of the time when to restock wipes. A great portable wipe warmer to use right off a car adapter. Plug it in and provide your baby with utmost comfort no matter where you are. Wipes colors may fade away over time. 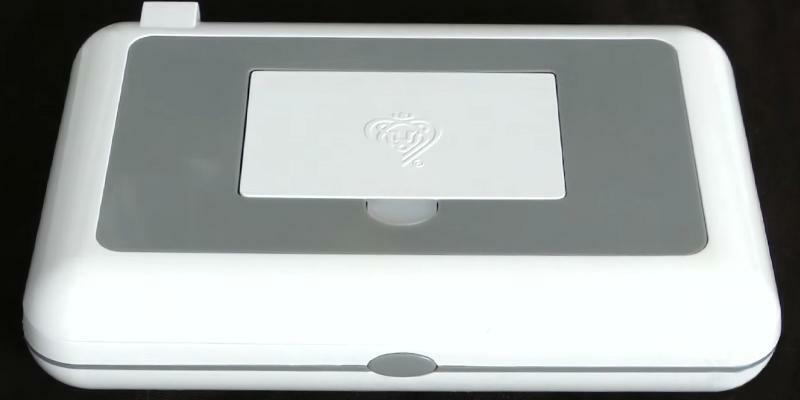 Prince Lionheart Compact wipe warmer will be greatly appreciated by active parents who travel with kids a lot. 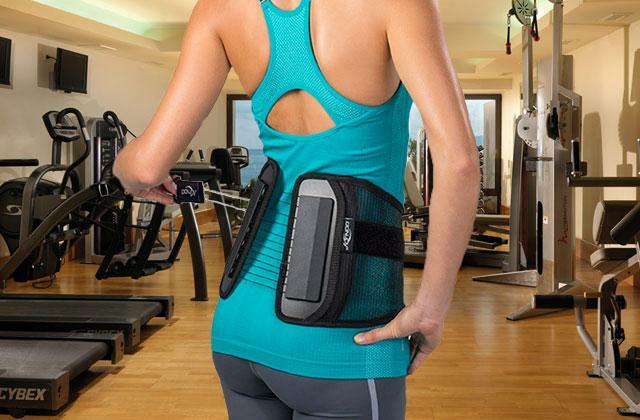 The compact design easily fits in a diaper bag. 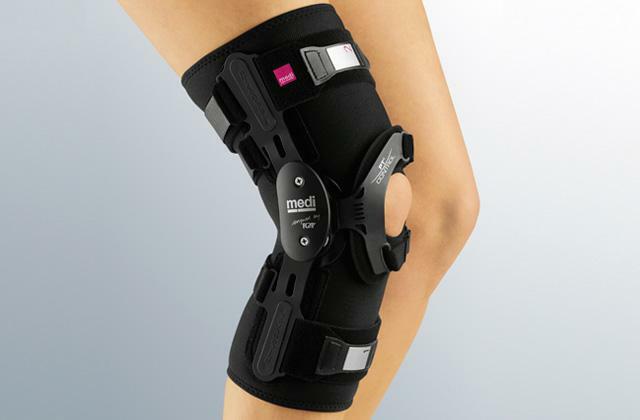 The model is available in 3 different colors. Wipe warmers are designed for the purpose of making a daily diaper changing routine a comfortable procedure for both new parents and babies on cold days and nights. In this regard, the Munchkin Mist Wipe Warmer is a great option. 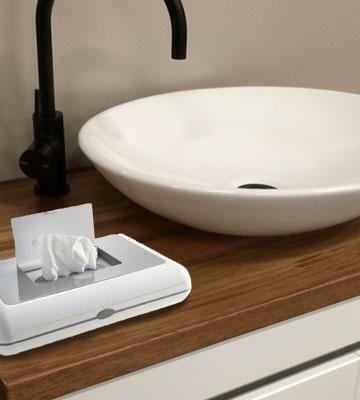 The device features a unique built-in misting system that keeps your baby wipes moist and prevents them from quick drying out. Each time you close a top lid, a water reservoir automatically moistens wipes. 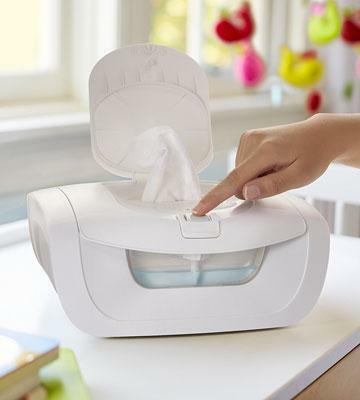 In case wipes are not wet enough, press a special mist button to add water to the wipes. Refilling water reservoir is easy and takes a couple of minutes too! The unit's operation and maintenance are incredibly simple and intuitive, you'll not regret your choice if you get the Munchkin Mist wipe warmer for regular use. 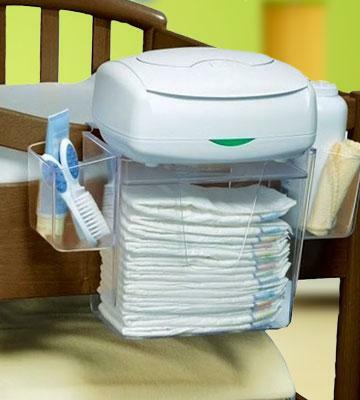 Munchkin SaraBear Diapering Organizer will help you organize your changing area, accommodating all baby's care essentials, including diapers, lotions, creams, cotton swabs, and a whole lot of other accessories at hand. 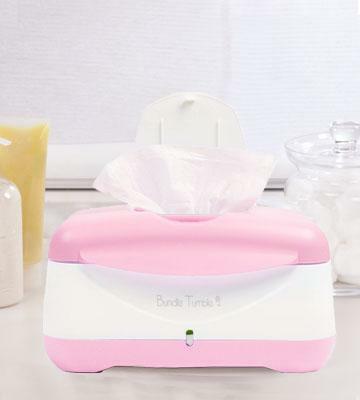 Most wipe warmers look pretty much plain, yet, the same cannot be said about the Bundle Tumble ComfyClean Baby Wipe Warmer distinguished by attractive pink design that can complete baby girl's nursery perfectly well. The model is also available in blue and purple, so parents of baby boys can choose a different color if they like. Besides design, the appliance is a perfect fit for its purpose. The steam-warming technology with a heating element at the bottom of the unit allows keeping wipes moist for a long time. The only requirement from parents is to regularly rinse absorbent cotton sheet. 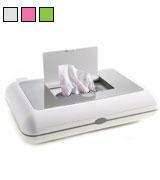 We like the fact that this wipe warmer is set on a non-slip mat so the chance it may fall is from zero to none. It will stay in place, please you with attractive design and provide with warm wet wipes on demand. Since the absorbent cotton sheet is recommended to be replaced every 3 months, it’s worth buying a few extra Bundle Tumble Fresh Replacement Pillows. We all know that the most favorable environment for harmful microorganisms to grow is wet and humid, just like it is in a wipe warmer. Therefore, it's important that it's regularly cleaned and disinfected. 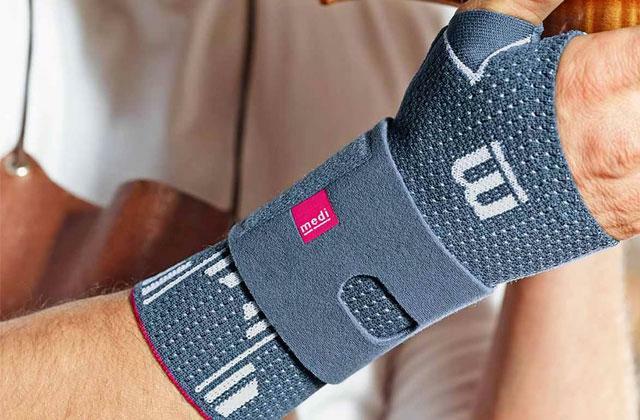 Manufacturers of Prince Lionheart wipe warmer fitted their device with a special EPA-approved anti-microbial interior so that it inhibits the growth of germs and ensures safe use in a long while. Thanks to the everFRESH® system with antimicrobial function, the device can keep wipes wet for a long time and prevent browning from the heating element located at the bottom of the unit. Without any doubt, this nice and affordable wipe warmer is a great bargain for many families who'd like to enhance their babies' comfort! Provide your little one with care your child deserves and use only soft and warm wipes to make diaper changing a comfortable procedure. 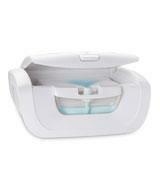 Prince Lionheart Dresser Top Diaper Depot can be an excellent addition to the Prince Lionheart Ultimate Wipes Warmer. Sleepless nights are inevitable after your baby's born. Caring for newborn means late-night diaper changes, feeding and a whole lot of added day-to-day responsibilities that often exhaust new parents. 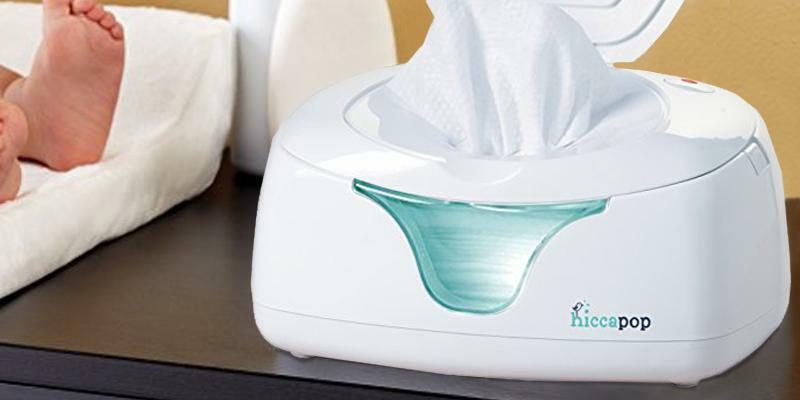 The Hiccapop Wipe Warmer and Baby Wet Wipes Dispenser can become a great and useful appliance to keep within reach day and night. Besides its main warming function, this wipe warmer features an Illuminated night light button, which can serve as a nursery lamp as soon as the room turns dark. A soft glow can illuminate your changing table scattering just enough light on basic essentials you may require for midnight diaper changes. 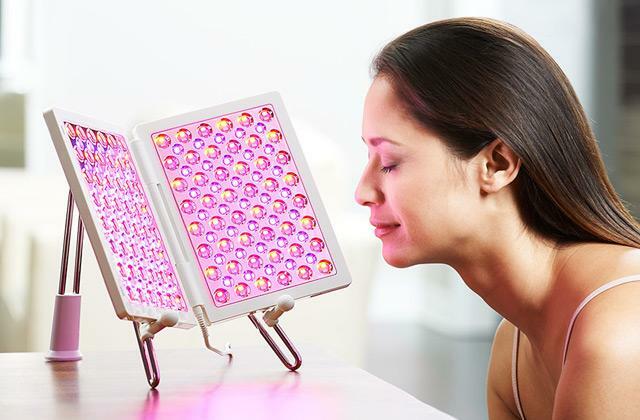 As an added benefit, the night light automatically turns off after 10 minutes. When the time is over, press the button again if needed. 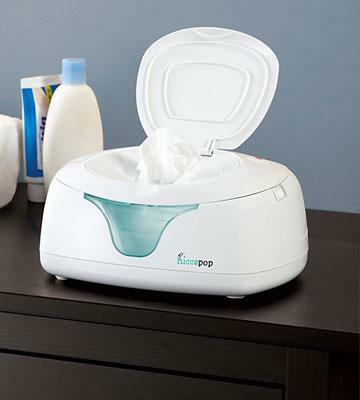 With the Hiccapop wipe warmer, you will have everything you need prepared for a diaper changing routine. A bottle warmer is very handy for your baby's late-night feeding. Find out more here. The undeniable advantage of the Prince Lionheart Compact Wipes Warmer is its truly space-saving design and portability. 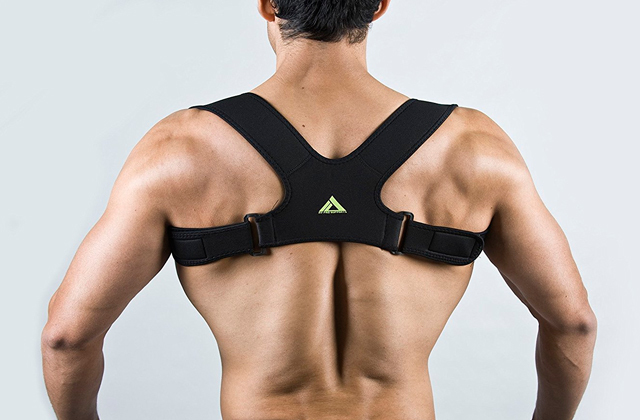 It can easily fit in a bag and so, traveling with it won't be a problem at all. The warmer's capacity is 30 wipes at a time, which isn't much but surely enough for a day or two. The option to plug it in a car adapter allows saving the time on warming for you can do it at the wheel and not wait later on the arrival. With the Prince Lionheart Compact Wipes Warmer, you'll always have enough warm and fresh wipes, yet the best thing about it is that it doesn't let any harmful bacteria spread thanks to the EPA-approved anti-microbial additive. 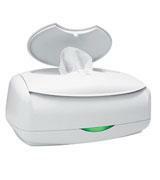 All in all, this portable wipe warmer is a nursery essential that will help you keep your little one healthy and happy. If you also often travel, this model is definitely worth your attention! Diaper changing can be really stressful for many newborns. The common reason is cold, wet wipes most parents use to clean baby's delicate bottom area. This is where a wipe warmer may come in useful! Stock up on the right things to make diaper changing a more comfortable procedure for your little one and use a wipe warmer. Your baby will surely appreciate delicate care and reward you with many positive emotions. In order to help you choose a suitable wipe warmer, we've narrowed down a broad choice of models to 5 most popular and frequently bought wipe warmers. Scroll down and select among the best. If you're new parents, it's quite possible you still may lack some of the essentials for baby's care. You may have stocked up on diapers, but probably haven't thought of getting a diaper pail to dispose of utilized diapers, or a changing table, to have an option to change baby's diapers at a comfortable height for you. 1. Molly Thornberg Confessions of an Ex-wipe Warmer User, Babble. 2. How to Change a Disposable Nappy, BabyCentre. July 2012. 3. 6 Tips for Easier Diaper Changes, What to Expect. 4. Do I need a wipes warmer? BabyCenter. 5. Diaper, Wikipedia. November 20, 2016.